Speaker Geoff Regan's attempts to tamp down heckling during question period in the House of Commons intensified in the fall 2016 sitting. But despite his efforts, heckling will likely return to the House along with MPs this week. It happens rarely, but sometimes the Hansard official transcript records the content of a heckle hurled across the aisle of the House of Commons during question period — as it did on Dec. 6, when Conservative MP Garnett Genuis was displeased with the response he was getting from Pamela Goldsmith-Jones over on the government benches. "No, no, that's all talk. You're not doing it," NDP MP David Christopherson said on Dec. 13 in response to Navdeep Bains, the minister of innovation, science and economic development. It was a busy fall sitting for Speaker Geoff Regan, who took a new approach to cutting down on heckling during question period when he became Speaker following the 2015 election. He calls them out, naming MPs by their riding (since identifying them by name is not allowed in the House) whenever they have gotten too rowdy. And he's been doing it more and more. In the House's first 77 sitting days during winter 2015 and spring 2016, Regan intervened 25 times during question period to name and shame a heckling MP. He had the same number of interventions during fall 2016, and called out 18 MPs for heckling, over a period of just 54 sitting days. Four Conservative MPs were called out by Regan on three occasions in the fall 2016 sitting (David Anderson, Ed Fast, Mark Strahl and Chris Warkentin) and three were named twice (John Brassard, Phil McColeman and Erin O'Toole). For Fast and Warkentin, this is a continuation of their pattern from the winter 2015 and spring 2016 sittings. Having been called out six and five times, respectively, during the entire session, they are the two MPs who have been singled out for heckling the most by Regan. Two Conservative MPs who were repeat offenders in the past — Steven Blaney and Michael Cooper — have not been called out for heckling in the most recent sitting. Blaney has been moved to the back row of the opposition benches, along with his fellow Conservative leadership candidates. Distance from the Speaker, however, does not seem to have been a problem for fellow leadership contestant O'Toole, who also sits on the back benches (and two seats closer to Regan). In addition to the 13 Conservative MPs scolded by Regan, three New Democrats and two Liberals have also felt the lash of his tongue. This distribution is similar to the previous sitting. 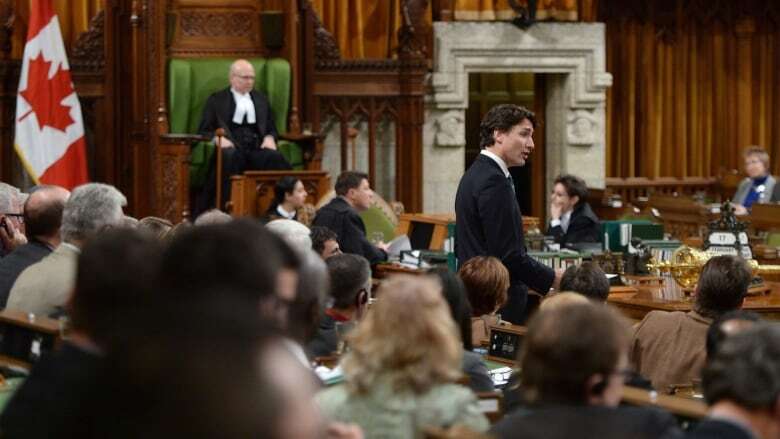 It is to be expected that opposition MPs will do the bulk of the heckling, but Conservative MPs were called out by the speaker seven times as often as New Democrats despite having a little more than twice as many MPs. Though NDP MPs do sit at the very back of the House, and so are farther away from Regan's perch, the biggest cluster of Conservative hecklers is seated just next to the New Democrats. Among the 18 MPs admonished by Regan, all but one were men, though those being heckled were evenly divided between men and women. ​The top recipients of heckling in the House, defined as the last MP to be speaking before Regan intervened, were Prime Minister Justin Trudeau and Government House Leader Bardish Chagger, who responded to questions related to Trudeau's fundraising controversy during much of the fall sitting. On three occasions each, Chagger and Trudeau were the last to speak before Regan felt compelled to chide a heckler. Throughout the entire session, Bill Morneau, Stéphane Dion, Maryam Monsef and François-Philippe Champagne were defended from hecklers by Regan at least four times. Champagne is notable among this list as he was the only parliamentary secretary to be heckled on a regular basis. But Champagne rarely seemed to be fazed by the heckling, and he has since been promoted to cabinet as minister of international trade — perhaps in part as recognition for his performance in the House during question period. On the other side of the ledger, however, Dion was shuffled out of cabinet and Monsef became the status of women minister, a portfolio that will likely put her on the hot seat in question period less often than her former role as minister of democratic institutions, which included the contentious electoral reform file. But it appears that Champagne and the rest of the government's members will have to get used to being heckled. With Regan needing to name and shame more often in the last sitting, it doesn't appear that his reprimands have had much of an effect. History suggests that he has his work cut out for him as parliamentarians return to Ottawa this week, because heckling is as old as parliament itself. Hansard's first recording of heckling in the House (in the traditional form of "Oh, oh!") is dated Dec. 6, 1867.